With 3D models even the best ones can look poor with the wrong choice of renderer. With the right render however, even simple block models can look impressive. 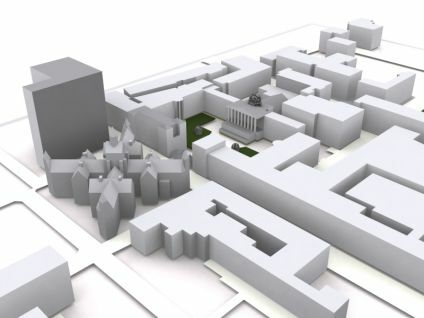 This one is a simple render of UCL but with the right lighting and settings it can be made to look almost like a man-made architects model. What are the settings to render models like that? They look great! Very realistic!